MRG Studio is pleased to announce that planning approval has been granted for the Woolbeding Glasshouse and Gardens in a National Trust site in the South Downs National Park. The gardens will display planting from habitats along the historical Silk Route. We look forward to starting construction later this year!! We are looking forward to speaking with architects and developers at Mipim2019 about the value of landscape and public realm design in developments. We're bringing the benefits of external landscapes right into our buildings. Do get in touch to arrange a meeting. See you in Cannes! It is our fifth birthday! MRG Studio is pleased to announce our collaboration with Zaha Hadid Architects for JCDecaux in West London which was unveiled to the public last week. 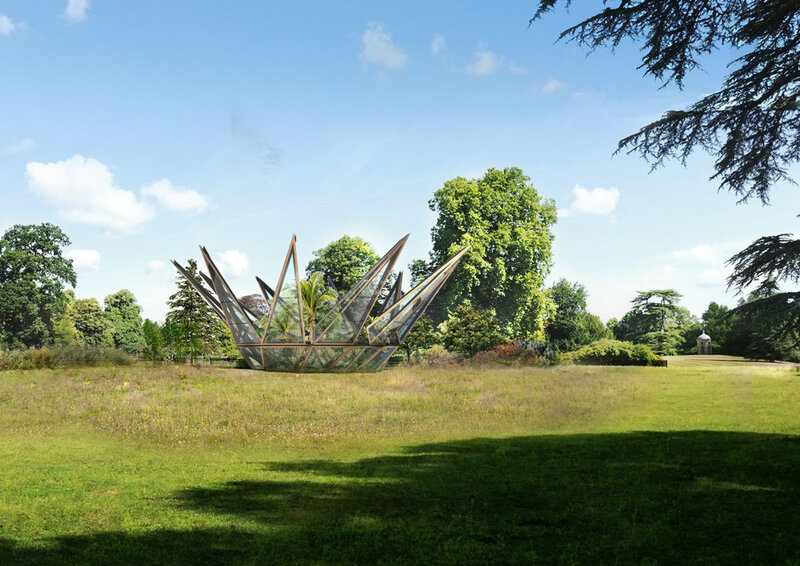 "The Kensington" is a unique digital canvas on West Cromwell Road, set within a carefully considered landscape that connects the form and scale of the sculpture to its urban context. MRG Studio is thrilled to announce that Bernard Works has won in the mixed use category at this year's NLA Awards. The awards recognise the very best projects across 15 sectors of the built environment that contribute to make London a better place to live, work, move around and socialise. Planning approval for Bernard Works! Duggan Morris Architects and MRG Studio have achieved planning consent for a new, mixed-use scheme in South Tottenham. MRG Studio is growing and are looking for a recent landscape architecture or architect graduate to join our team. Ours is a small and fast-paced practice, a great place for a young designer to be involved in all aspects of the design process. Candidates should have landscape design skills and sensibilities; excellent writing skills; proficiency in Adobe Illustrator, InDesign, Photoshop and AutoCAD. An ability to work with 3D models (Rhino, Revit, etc) would be great. UK work eligibility required, as are a collaborative spirit and capacity to work independently. We are now based in Clerkenwell and are keen to bring someone on as soon as possible. Please contact us on enquiries@mrgstudio.co.uk including your CV and portfolio. MRG Studio is pleased to be appointed by JCDecaux to undertake planting design for their flagship project on West Cromwell Road in London. We will be working closely with lead consultant Zaha Hadid Architects, the client and the contractors. Landscape construction is expected to take place this summer. We have been working with Duggan Morris Architect on the Bernard Works mixed use project. It is now with Haringey Council for planning permission! Children return to school today to a new planted setting for learning and playing. Many thanks to Frosts Landscapes — delightful to contractors to work with! Excavation has started at Newton Prep, where we are refurbishing the EYFS playground to create a softer, planted setting for learning, playing and daydreaming. It will also help the school present a warmer welcome to the community and help alleviate the effects of air pollution along the heavily trafficked Battersea Park Road. Stay tuned for updates throughout this summer! MRG Studio is pleased to support and be involved with the KGX1 project for Google, which has just been submitted to Camden Council for Reserved Matters approval. 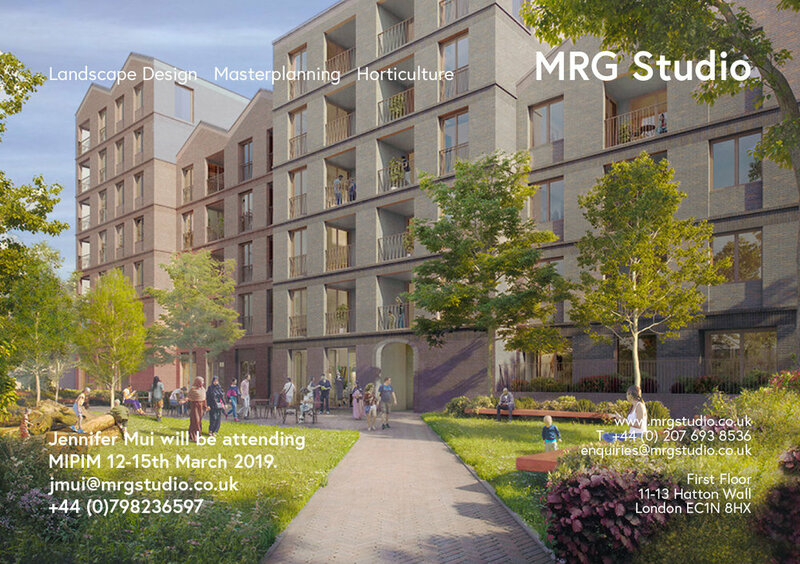 MRG Studio joined the first public consultation last night for Bernard Works, a new live-work development in South Tottenham led by Duggan Morris. Here is Jenn fielding landscape and public realm questions… Thanks to all who braved the rain to join us! We are delighted to be working with Acrylicize and Buckley Gray Yeoman architects to design a new internal landscape installation at Blackstone’s major refurbishment at 20 Old Bailey. 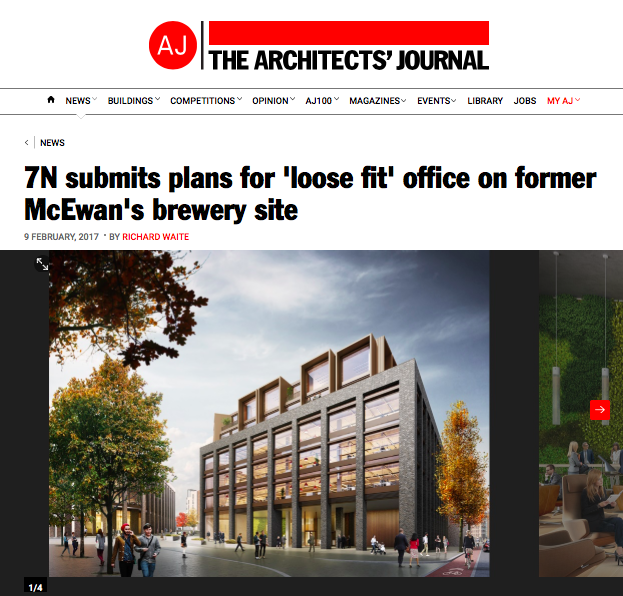 We have been working with 7N Architects on the office side of the India Quay development in Fountainbridge. The project now with the City of Edinburgh Council for planning permission! Read the full article in the Architects' Journal here. Detailed planning has been granted for the first phase of India Quay Development in Edinburgh – we have enjoyed the journey with our colleagues at 7N Architects and hope to start the next stage soon!